Elizabeth Gaskell (1810-65) lost her mother at an early age and was sent to live with her aunt in Knutsford, a country town outside Manchester which is often thought to bear a notable resemblance to the fictional Cranford. 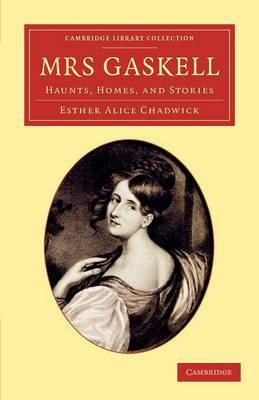 In this engaging biography, Esther Alice Chadwick (1862-1929) shows how many historical facts of Gaskell's life influenced her novels and stories - from the character of her home town to the sudden disappearance of her brother in India. Originally published in 1910, this was the first full biography of the author; the revised edition of 1913 is reissued here. It includes additional research, illustrations, and excerpts from Gaskell's letters, which provide a touching glimpse into the life of a writer who often felt herself torn between her intellectual and domestic duties. Still a major source for modern biographies, Chadwick's book remains an authoritative source for scholars and students of English literature.